Under a final rule issued last week, the facilities will no longer be paid as if they were hospital-based outpatient departments if they were acquired or opened after Nov. 2, 2015. The dominant insurance industry trade group wants the CMS to change how it calculates payment rates for Medicare Advantage plans to more closely reflect the costs of senior enrollees. The change would boost insurer payments and allow plans to enhance patient benefits, America's Health Insurance Plans said. The group said a recent legal analysis they commissioned from law firm Epstein Becker & Green supports their call to fix the funding formula. "We believe that through this legal analysis, the funding system is not operating in accordance with the statutory rules around enrollment and payment," said Tom Kornfield, AHIP's vice president of federal programs. The CMS' payments to Medicare Advantage plans are determined by comparing the plan's estimated cost when bidding to serve a specific region with the maximum the CMS will pay an Advantage plan, known as the benchmark. In 2012, the CMS also started tying payment to star ratings that reward the highest quality plans. AHIP and other trade groups take issue with the way Medicare calculates that benchmark because it's based on the average spending for all seniors enrolled in Medicare, including those enrolled in Medicare Part A only, Part B only, or both. Medicare Part A covers care delivered in hospitals and other facilities, while Part B covers physician services and medical supplies. But only beneficiaries enrolled in both Part A and Part B are eligible to join a Medicare Advantage plan. That means the benchmark rates are calculated using members who are not eligible for Medicare Advantage. MedPAC has found that average spending for seniors enrolled in both Part A and Part B is higher than spending for all traditional Medicare beneficiaries. So by including costs for millions of seniors enrolled in only Part A in the Medicare Advantage funding formula, the concern is that the benchmark will end up lower than Advantage enrollees' average costs, explained Mark Hamelburg, AHIP's senior vice president of federal programs. "The program is designed to determine payments to Medicare Advantage plans based on fee-for-service costs, but they are not looking at a comparable population," he said. As enrollment in Medicare Advantage grows, so does the number of seniors who enroll in Medicare Part A only, which intensifies the problem. Advantage enrollment reached 18.9 million in 2017, or 32% of all Medicare beneficiaries, up from 17.5 million, or 31% of all Medicare beneficiaries in 2016. 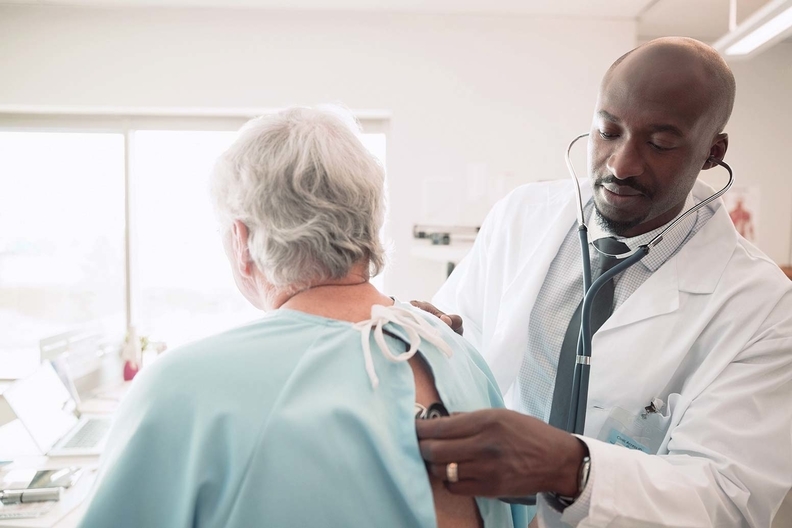 Meanwhile, in 2015, 12.4% of traditional Medicare beneficiaries enrolled in Part A only, an increase from 10.2% in 2009, according to the latest data available from MedPAC. During the same time period, the percentage of traditional Medicare beneficiaries enrolled in just Part B, or in both Part A and Part B, declined. UnitedHealth Group and Humana have long been the dominant insurers in the Medicare Advantage market and would be heavily affected by changes that increase payments. Together, they accounted for 41% of Advantage enrollment in 2017, according to the Kaiser Family Foundation. AHIP supports MedPAC's March 2017 recommendation that CMS change up the benchmark calculation to include just those costs for seniors enrolled in both Part A and Part B so as to "ensure equity between FFS and the MA program, and equity across MA plans," it wrote. Changing the formula this way would increase payments to Medicare Advantage plans in most counties, and increase Medicare spending by $750 million to $2 billion over one year and $5 billion to $10 billion over five years, MedPAC said. With higher payments, Advantage plans might be able to enhance patient benefits, it said. The CMS has already made the change for Medicare Advantage plans in Puerto Rico. There, unlike in the mainland United States, seniors have to opt in to Medicare Part B, so the majority of Puerto Rico's seniors don't have Medicare Part B coverage. Earlier this month, law firm Epstein Becker & Green determined that under the Medicare statute, CMS should exclude from the benchmark calculation cost data for beneficiaries enrolled in Part A only.